Superman and Charlie try desperately to escape from the Phantom Zone, while on Earth, General Zod’s master plan is revealed. All this, and Batman too, in the issue 3 of the Phantom Zone mini-series. Plus, Superboy takes his first step in his journey toward becoming Superman. Hello! Great episode as always. This will probably be short since I didn’t get to take my usual notes while listening. I was cooking dinner as I followed Episode #86. I can’t add much, but I agree with you why would General Zod’s master plan be to put Earth in the Phantom Zone? In the Pocket Universe story, they just killed everyone. Wouldn’t that get under Superman’s skin more? Truly enjoyed J. David Weter’s portion of the show. I am sad to see the Superboy segments go; that’s how it sounded anyway. But I do enjoy the storylines he is covering. 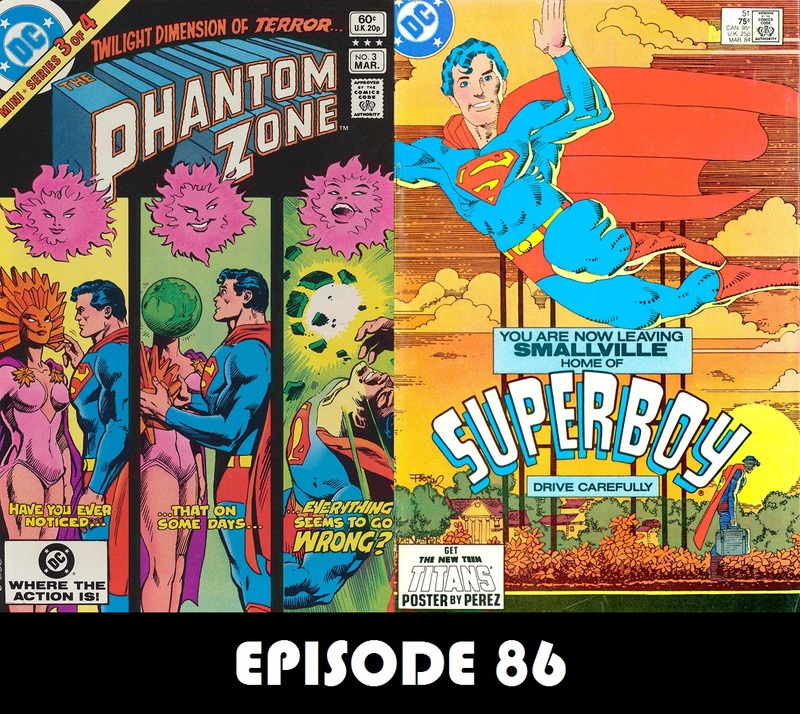 On to the final issue of the Phantom Zone. I have read it, so I am ready whenever you are. Peace!